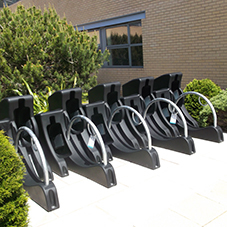 Cyclepods designed and installed a state-of-the-art Cycle Hub for Lewes Train Station. 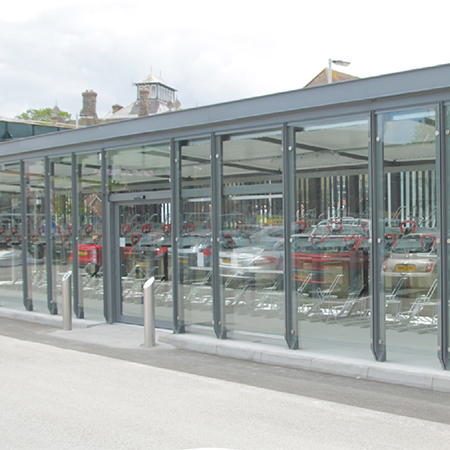 The hub’s structure is made from steel with tempered glass walls and RigiSystem roofing. 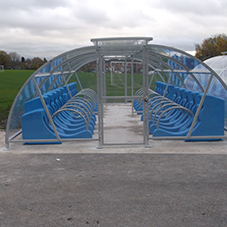 The design also allows for an extension in the future, should the volume of cyclists increase. 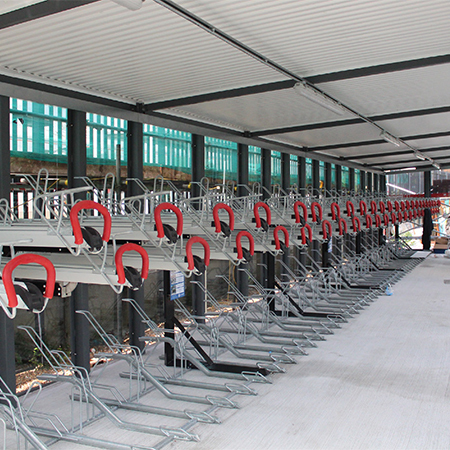 To maximise bike storage capacity in the Hub, the Easylift+ 2-tier was used, providing a total of 100 spaces. The Easylift+ is the only two-tier whose upper arm reach all the way to the floor and is equipped with a gas-assisted lift. With minimum effort from the user, all they must do is lightly pull the upper arm and the gas-assisted lift does the rest. 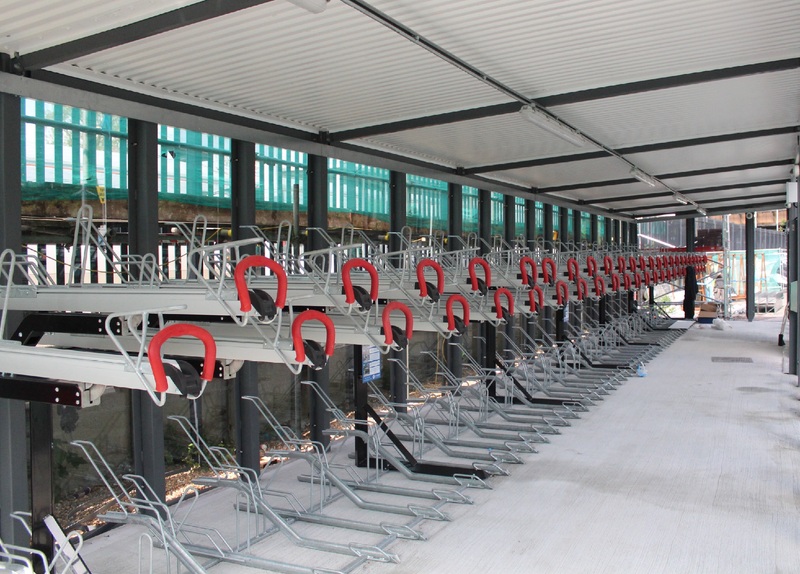 The Easylift+ mechanism has been tested over 18,000 times, with each time representing a loading and unloading of a bike, with no deterioration in performance, roughly equating to it being used 4 times a day for 12 years so it is proved to be a long-lasting product! 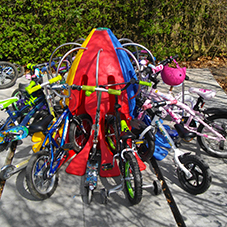 Cyclepods have also included a Public Bike Pump and Repair Stand inside the Hub to provide tools for basic bike repairs.